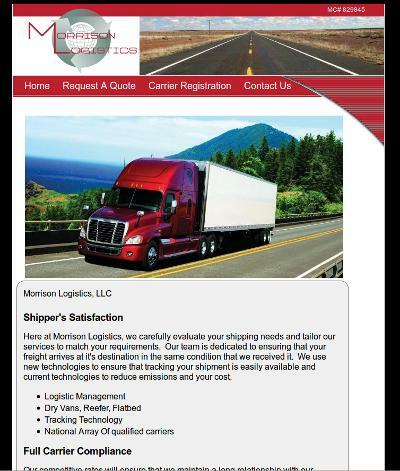 Beau at Morrison Logistics contacted us a few weeks ago to inquire about website services. He indicated that he was working with another designer, but it had been several weeks and hadn’t received any communication from them. Beau was very unhappy with the previous website designer’s communication – or lack thereof. He also wanted the website designer to create a logo for his business – but they failed in that aspect as well. Therefore, Beau placed an order with us to at least get a logo designed right away. Within a few days, our graphic designer had a logo sent to Beau – and he was very impressed with the fast turn-around and the quality of the logo. Beau said that it was perfect and exactly how he wanted the logo. After the logo was done, he placed the order for the website through us as well. Very upset, he placed a claim with his credit card company to re-coup the funds from his previous website designer charged him. The previous designer charged him 100% of the total cost of both the logo and the website up front. BsnTech Networks does not do this. We require a 20% pre-payment for graphic design work – in addition to a $75 pre-payment to start on the website in addition to any hosting or domain name costs. Once the customer is fully satisfied with the result, the balance is then due. Beau provided us several websites that he liked – and so we got to work on his website right away. Even during a holiday week, we completed the site in four days. Beau then provided us some additional work by working on some documents that he had for his business – as he wanted his new logo integrated into the documents. We appreciate the business from Beau, and hope that he will refer others to us as well based on his experience! 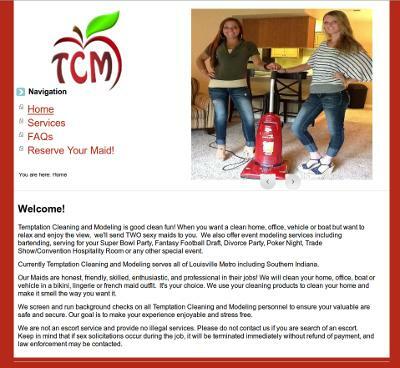 Brian at Tempation Cleaning & Modeling Services contact us a little over a week ago to have a website designed for his startup business. His startup business is unique by putting a spin on cleaning services. Instead of hiring just anyone to clean your home, you can hire models to clean your home! You get two models that will come clean your home in either a bikini, lingerie, or even a french maid outfit! We were happy to assist Brian with creating an affordable website design for his business. It interfaces with PayPal so that customers can pay right away and reserve their maid right from his website! Patricia & Mel wanted to start out a unique website – a website where they could be contacted in order to showcase a song or music video for people all over the world. Patricia created their own song called Do Me Shoes. Originally, this also was the domain name of the site. 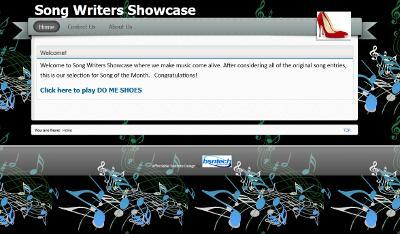 However, after a few days, Patricia decided to change the domain name to songwritersshowcase.org instead. Patricia and Mel were very complimentary regarding how simple we made the process of changing the domain name. And – they have an extra name that can be used for another site down the road! As of now, both domain names point to the same website that BsnTech Networks created for them. 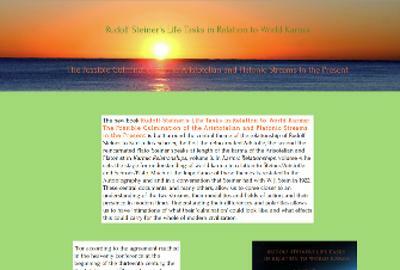 The affordable web design was completed in just under a week. They had several requested changes during the design of the site – but they were all quickly implemented. We appreciate the business that Patricia & Mel provided us and hope that we can benefit from their positive feedback through word of mouth advertising. 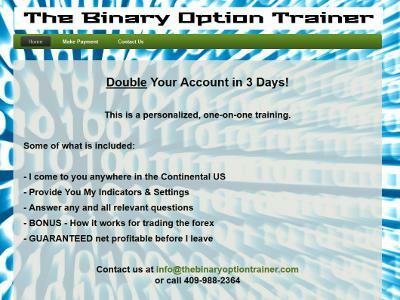 Jon-Paul wanted to start out on a new endeavour that he has experience in – binary option trading. His goal is to be able to provide training for individuals across the country – and he will even fly out and teach you what there is to know! He also has a guarantee – that you will make a profit on it by the time he leaves. Here at BsnTech, we were happy to assist Jon-Paul with creating a cheap website design. Although he did use a few other features, the cost was still minimal. Most of our customers want at least a little more with their website than our basic three-page web design package. Jon-Paul chose to have basic PayPal integration so his customers can pay him – and also a contact form so individuals can inquire right from his website. We are very appreciative of the business that Jon-Paul has given us to create a cheap web design for him. Ken Luby tried to make a website himself. He didn’t want to continue trying to make a website that may have made his company look unprofessional. That is why he contacted us here at BsnTech Networks to make a cheap website design from him. What he got was something exceeded his expectations. Ken Luby has been a painter in the Owego, NY area for over 25 years. 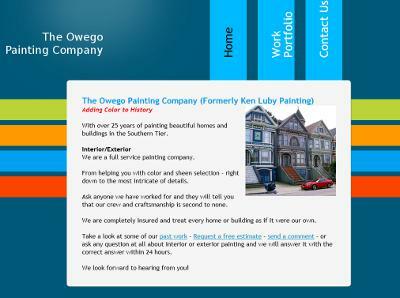 He changed his business name to The Owego Painting Company and therefore wanted to get “with the times” and create a website for it. We were contacted last week and Ken made the payment on Saturday. A couple days later, he sent us the pictures to add to his picture gallery, the content for the home page, and in four days he had a fully functioning website. BsnTech works quickly and efficiently to create affordable website design services to all of our customers. With the quality of the sites received, the timely delivey, and the low cost, customers continue to come back to us to do more for them. Ken was happy with our work – and said that he will be starting another website with us in a few months for another endeavor he will be starting. We appreciate the vote of confidence from Ken with our services. Luigi Morelli had us create a site for his motivational services about a year ago. He then returned to us a week ago asking us to create a new website for his book that he has written. The website was setup exactly like Luigi requested it – and he was happy with the fact that we set it up identical to the information he provided. It is a very simple website – but that is what he was looking for. Just enough to provide some introduction information about the book along with other links to the table of contents, synopsis, and more. Another affordable website design created by BsnTech Networks – from a repeat customer! That shows the kind of customer service and relationship we have with our customers when they continue to count on us for their website design needs. Ovella has a start-up business to help others. 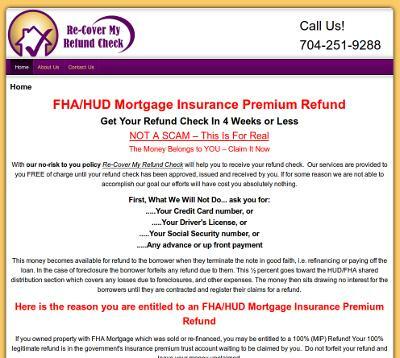 Her business is geared towards helping individuals recover their mortgage insurance premiums in the event they have an FHA or HUD mortgage on their property. Ovella also strives to let it be known that there is no fee for her services until the customers actually receive their check in the mail. Ovella had us create a website, provide her domain name, her website hosting, and also create a logo for her. She is exceptionally pleased with the work we did – and the fast turn-around time. Everything was fully completed for her within four days. In a few different e-mails, she had positive reviews. One e-mail she simply stated “You did an awesome job.”. Another e-mail from her said “Thank you so much for everything… I feel so blessed that I found you!!! You are truly awesome!!”. We love to hear positive feedback for the affordable website design that we provide to customers. This is why we are in the business – allowing people to realize an opportunity or a dream to have a business and to get a website for a fair price. No where else can you find a cheap website designer that stands by their customers and provides quality work. Ovella is so pleased – that she indicates there is another project that she is going to have us complete for her as well. We look forward to her additional business – and possibly some referrals! The owner – Sandy – of Sandy’s Advantage Plus – was very happy with the logo design that we created for her, that she awarded us the business of creating her website. Our graphic designer made a logo design for Sandy – exactly what she was looking for. The logo was then incorporated onto her website along with business cards that she printed up. 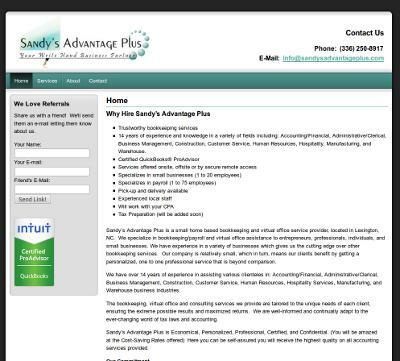 BsnTech Networks created an affordable website design for Sandy’s Advantage Plus in just a little over a week. Sandy provided us all of the content that she wanted, gave us some ideas, and we implemented it! These are the kind of comments we get for many of our customers. Not only do we do a fantasic job with making a cheap website design for them, the customer is very happy with the end result. We continue to get more and more customers by word of mouth. Customers are your biggest asset – and we take care of all of our customers here at BsnTech Networks. Getting glowing reviews like what Sandy provided us – along with referrals is how we are able to keep our website design costs low. 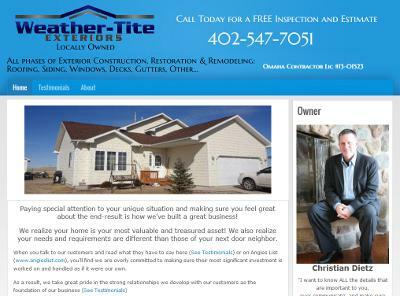 Christian at Weather-Tite Exteriors continue to BsnTech Networks for creating an affordable website design for his businesses. Christian came to us a couple of years ago to start a website for his business in Rapid City. As he business has grown, he has opened more locations. About a year ago, a location was opened in Minnesota. He also contact us to make a low-cost website design for this location as well. Now, just recently, he is moving to the state of Nebraska and has opened a new office in Omaha to service customers that need home services including roofing, siding, and more. We appreciate the extra business that Christian has given us – and are humbled that he continues to put his trust in us for all of his website services needs. If you or someone you know needs a cheap website design completed, our staff at BsnTech Networks is ready to help you for an afforadble rate that is fair. BsnTech Networks recently completed a new website for a company – JanSpec. 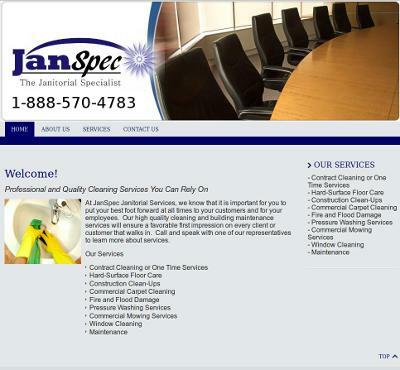 We were contacted by Dana at JanSpec a few weeks ago to create a website for them. In addition, JanSpec requested to have a digital copy of their logo designed. BsnTech stepped up and completed the website. Dana awarded additional business to us because of the fast response times and providing quality website design to their company. Our graphic designer recently finished the company’s logo as well. Dana provided very specific instructions regarding the new logo design – and our designer completed it perfectly to their satisfaction the first time. Dana was very impressed with the affordable website design that we created for him. He went on to say “Brian, I am estatic with what you and your company has done….I am very happy to have found you and will definitely recommend you every chance I get.”. He also noted “You built this site and logo exactly the way I wanted it done”.